According to the new poll, 66.4% oppose unification and only 18.5% are in favor, while 15.1% remain noncommittal. The poll found that people in younger generations were more likely to favor Taiwan independence. In the 20-29 age group, 72% supported independence. This is consistent with a trend I’ve reported on in the past. The graph at the beginning of this article comes from 2005, and it shows that the portion of Taiwan’s population describing themselves as “Taiwanese,” as opposed to “Chinese,” had risen from 18% to 42% over the previous ten years. If we assume that being “Taiwanese” corresponds to favoring Taiwan independence, then that amount has risen from 42% to 66.4% in the 11 years since then. This almost certainly means that the trend is highly generational. Older generations, especially those with some memory of the 1949 flight from Mao Zedong’s army to Hong Kong and then to Formosa, have clung to the hope that one day Taiwan and Beijing would reunite into a single China governed by Taiwan’s Nationalist government. People in younger generations understand that this scenario is not even remotely possible, and that reunification would mean being governed by the Chinese Communist Party (CCP) in Beijing, the same CCP that massacred thousands of college students in Tiananmen Square in 1989, and who have become increasingly authoritarian in Hong Kong, breaking their explicit public promise, when Britain returned Hong Kong to China in 1997, that they could have fully free and fair elections. If I could figure all this out, then it’s certain that the officials in the CCP have also figured it out. 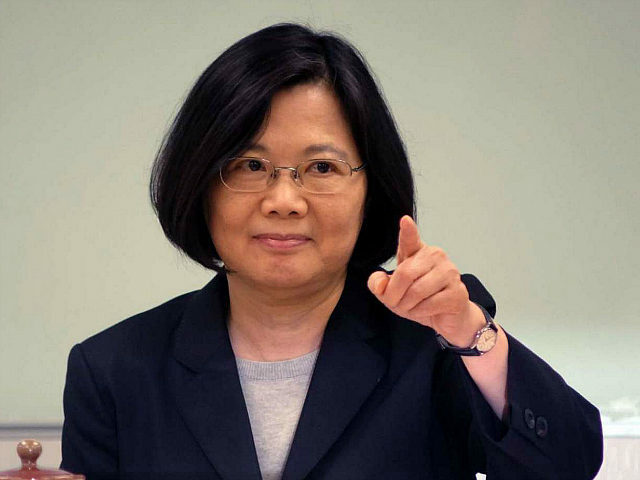 Just last week, just after Tsai Ing-wen took office as president, Chinese media demanded that Tsai explicitly affirm that Taiwan is part of China, something that Tsai is refusing to do. If the US military keeps making provocative moves to challenge China’s sovereignty in the region, it will give Beijing a good opportunity to declare an ADIZ in the South China Sea. The announcement of an ADIZ would substantially escalate the tensions in the region. China has already been aggressively militarizing the South China Sea in preparation for the ADIZ. This includes creation of seven artificial islands and turning them into military naval and air force bases.